Salt stress is one of the most significant adverse abiotic factors, causing crop failure worldwide. So far, a number of salt stress-induced genes, and genes improving salt tolerance have been characterized in a range of plants. 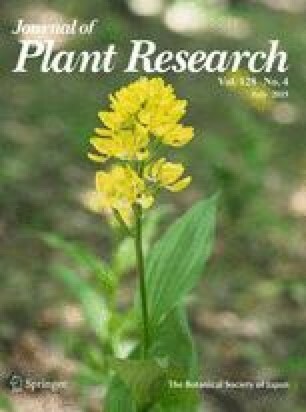 Here, we report the isolation and characterization of a salt stress-induced Medicago sativa (alfalfa) gene (MsRCI2A), which showed a high similarity to the yeast plasma membrane protein 3 gene (PMP3) and Arabidopsis RCI2A. The sequence comparisons revealed that five genes of MtRCI2(A–E) showed a high similarity to MsRCI2A in the Medicago truncatula genome. MsRCI2A and MtRCI2(A–E) encode small, highly hydrophobic proteins containing two putative transmembrane domains, predominantly localized in the plasma membrane. The transcript analysis results suggest that MsRCI2A and MtRCI2(A–D) genes are highly induced by salt stress. The expression of MsRCI2A and MtRCI2(A–C) in yeast mutants lacking the PMP3 gene can functionally complement the salt sensitivity phenotype resulting from PMP3 deletion. Overexpression of MsRCI2A in Arabidopsis plants showed improved salt tolerance suggesting the important role of MsRCI2A in salt stress tolerance in alfalfa. R. Long and F. Zhang contributed equally to this work. The online version of this article (doi: 10.1007/s10265-015-0715-x) contains supplementary material, which is available to authorized users. This work was supported by the China Forage and Grass Research System (CARS-35-04) and Basic Scientific Research Fund of IAS-CAAS (2014ywf-zd-2).